Curio Boxes are customized boxes designed to help you initiate relative magic in your own life. Clients can request a certain theme, purpose or even design for their Curio Box but the innards are chosen by Paranormal Sarah herself to help aid you in your path. 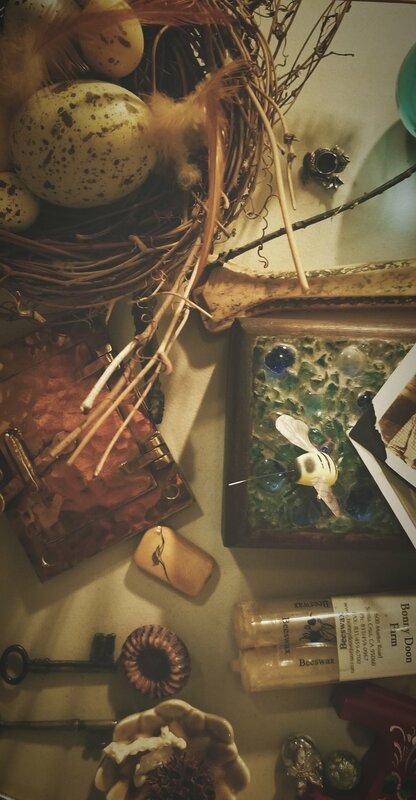 Alter items, crystals, candles and homemade spells are regular items found in a Curio Box. Custom Boxes created based on your request and/or your psychic imprint.